Last year, we named the Google Pixel the king of all smartphone cameras, besting the Samsung Galaxy S7, LG V20, and iPhone 7. Last month, the Pixel tried to defend its crown against the LG G6, and lost. 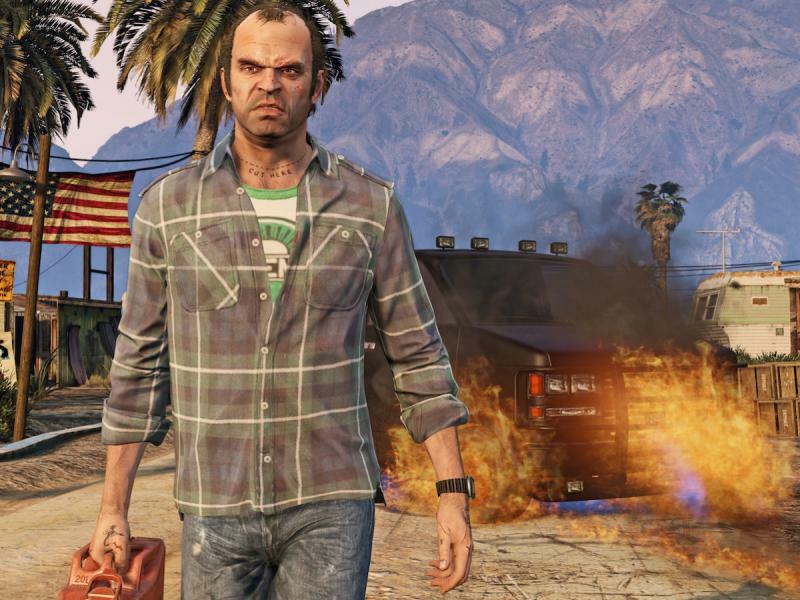 Now, a new contender tries to knock LG off the top spot. Samsung’s Galaxy S8 may appear to have the same camera specs as last year’s Galaxy S7, but don’t let the megapixel numbers fool you: it’s got a new sensor, new optics, and new image processing algorithms. Can Samsung’s latest and greatest knock LG off its perch? Let’s find out. Before we begin, how about a quick specs recap? The main rear camera of the Galaxy S8 uses a Sony IMX333 sensor with dual pixel autofocus. 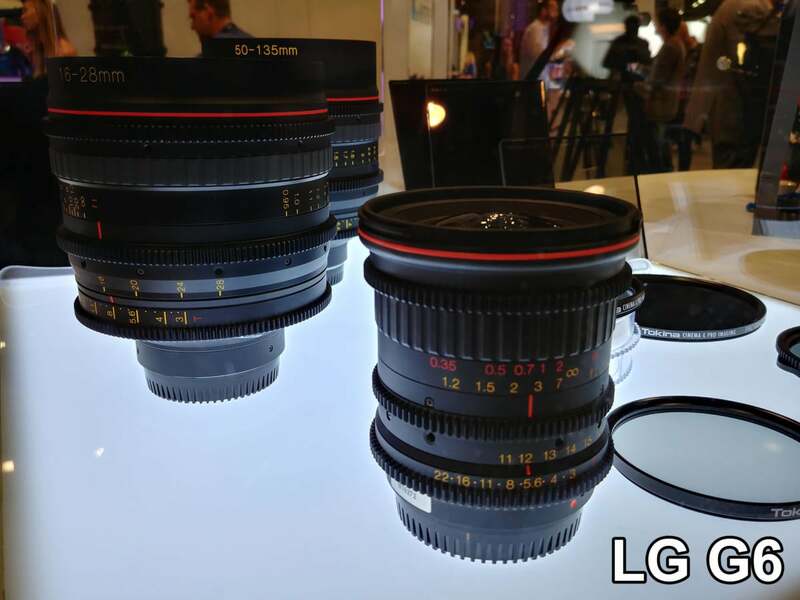 The resolution is 12 megapixels (with 1.4 micron pixels) and it’s all behind an f/1.7 lens. It’s got optical image stabilization, too. The LG G6 has two rear cameras, one standard and one wide-angle. They both use the same Sony IMX258 sensor, at 13 megapixels with 1.12 micron pixels. 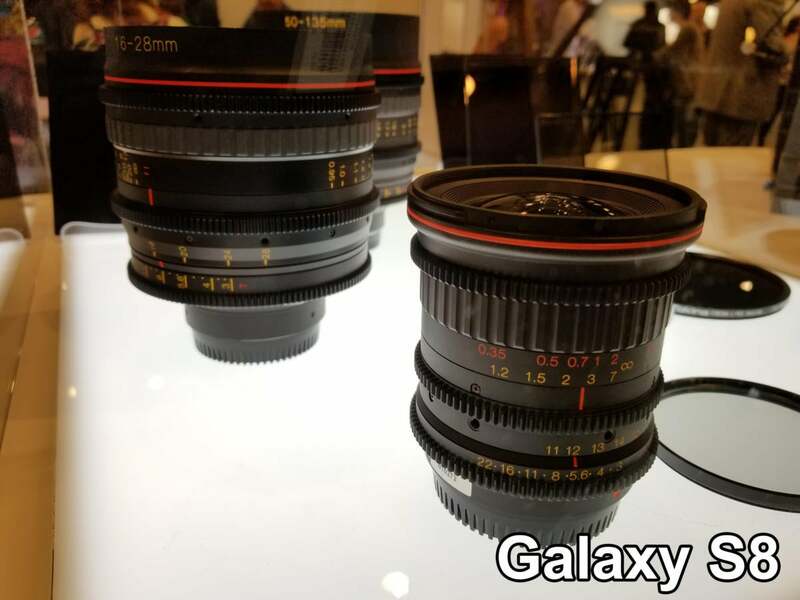 For our tests, we’re mostly concerned with the standard camera, which has optical image stabilization and a superior f/1.8 aperture. The wide-angle lens, for the record, lacks OIS and has an f/2.4 aperture. Simply looking at the specs, Samsung has the upper hand. It should perform better in low light with a wider aperture and larger sensor, and should focus more quickly. It’s important to note that we tested these cameras the way most people use them, in auto mode. That means straight out of the pocket, using the stock app, with HDR set on auto. If a phone defaults to something less than full resolution, we rectify that, but otherwise this is the “out of box, out of pocket” experience. We’re going to look deeply at the cameras across three areas: color, clarity, and range. We took dozens of photos with each phone, and what you see here is just a representative sample. It’s important to note that this is not a comprehensive review of the entire camera experience. We’re looking at final shot quality across three main areas, but there are many other factors that go into a great smartphone camera. The speed at which the camera app loads and is ready to take a photo (the “pocket to photo” time), shutter lag, shot-to-shot latency, burst speed, the camera app interface and features, and that’s all without even diving into video features or quality, or the front camera. When examining the color quality of the shots these phones produce, we’re concerned with accuracy, vividness, and how well the camera balances color temperature. 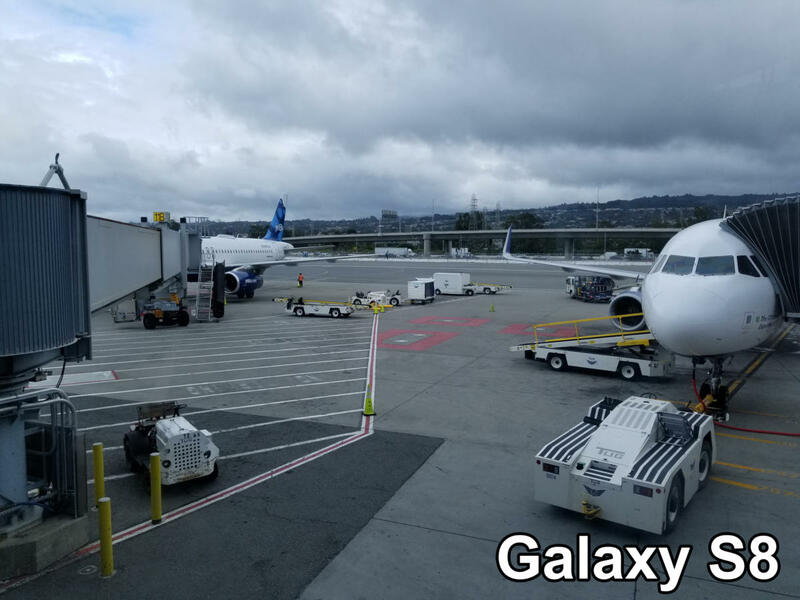 It’s a cloudy day at SFO, and while it’s good to see the Galaxy S8 back off on the typical Samsung oversaturation, the image is far too blue. The G6 has far more accurate color temperature. This is a big stumble for Samsung—the color tint here is well beyond typical “viewer preference” white balance. The Galaxy S8 isn’t oversaturated, but the white balance is way off here. 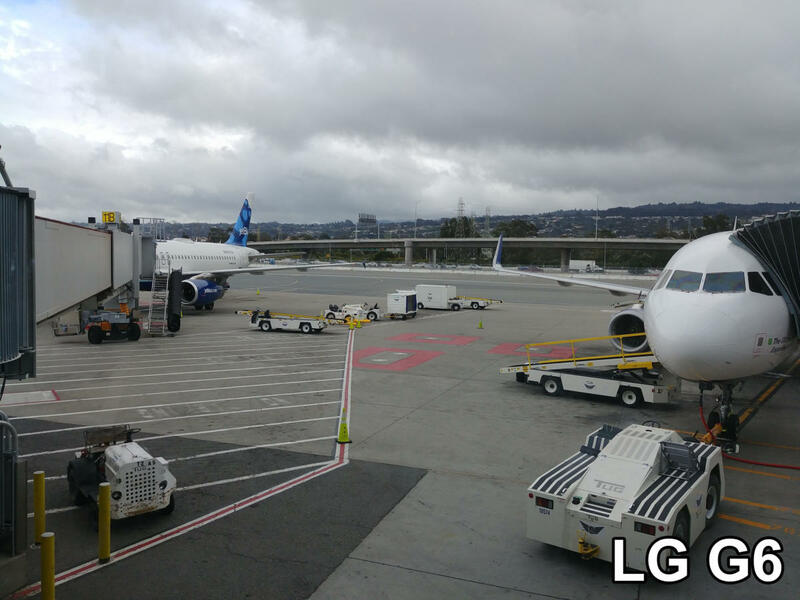 The G6, by comparison, delivers an accurate color balance. This next shot is challenging. The light emitted from the table is a cool blue, while the ceiling lights are a warm yellow. LG gets it right, accurately capturing the stark contrast between them, not just on the tables but reflected on the black camera lenses. Samsung locks on the cool blue table and tries to compensate for it, turning it white and the background lighting positively orange. Samsung tries to correct for the blueish tint of the table light, and ruins the background. LG accurately captures this complex lighting situation, with blueish table light and warmer environment lighting in the background. 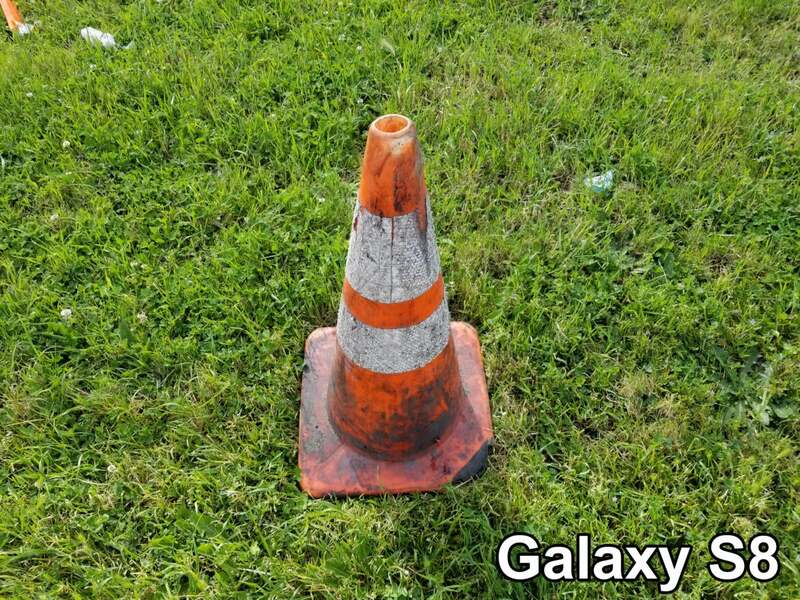 Finally, let’s look at this orange traffic cone in the grass. Yes, you might think the GS8’s image is more pleasing, but it’s really “greenifying” everything. The G6’s colors may be more dull, but it’s far more accurate. And if you zoom in and look closely at the grass you’ll see a lot more variation in color. Samsung’s color’s pop, but far too much. This grass isn’t nearly this green in real life. 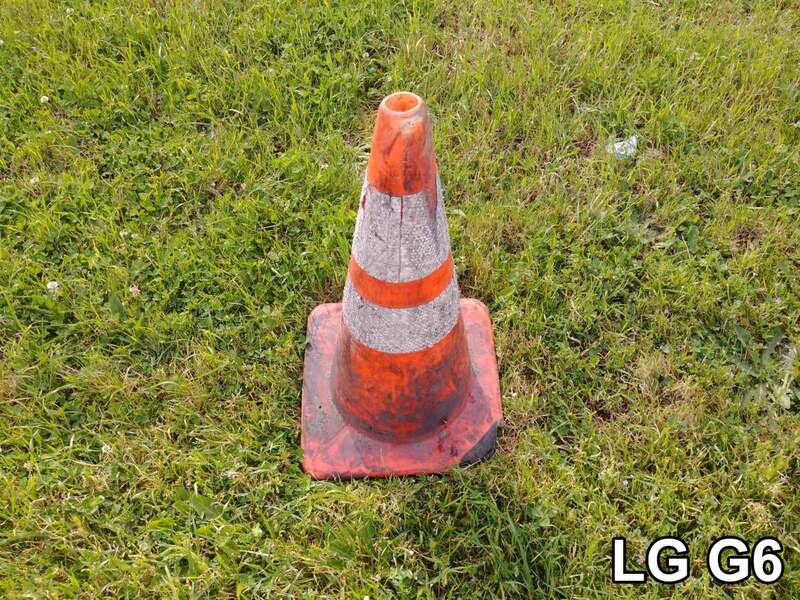 The browns and yellows in the grass on LG’s image aren’t as pleasing, but reflect the true colors. Samsung has long been criticized for taking too many liberties with color saturation and intensity, and while its image processing seems to have improved, it’s still not nearly good enough. Too often, its colors simply don’t reflect reality, or it has trouble nailing the white balance of a scene. Samsung needs to aim for accuracy in its auto modes, and leave this intense color stuff for its “creative” modes. Winner: LG by a wide margin. Next, let’s check out clarity.